If you’re a salesperson, you probably focus mainly on finding new clients, but if you work in a mature business-to-business (B2B) industry, that isn’t always so simple. Let’s face it: these days, most B2B industries are mature! The only way you can land a new client is to steal one from someone else. That can be very hard to do. When new accounts are few and far between, your best source of new business is likely to be your existing customer base. Rather than chase new accounts, it makes sense to invest more time working to up-sell and cross-sell the clients you already have. Suppose you have a 50 percent client-retention rate. This means half your clients leave you every year. This rapid turnover makes it difficult for you to grow your business, because each year you have to market to new clients, beat out competition, and become established as an approved vendor. If your client retention improves to 75 percent, however, you double your average tenure, and at 95 percent you have a staggering 20-year average client-retention rate. … all with less time, effort, and expense. In the B2B world, building great relationships is often the fastest and easiest way to meet or beat your sales goals. To achieve these kinds of relationships, you need to make a determined effort to understand your clients’ needs and desires and consistently exceed their expectations. I call this building “sales equity” – an expression to describe all the advantages you gain when you build trusted-advisor relationships with clients. During the Sales 2.0 Conference in Boston on Monday, July 14, I’ll be presenting “Sales Equity: What It Is and Why You Need It.” During this address, I’ll delve into how stronger sales equity can lead directly to better results for B2B salespeople and other customer-relationship owners. I hope you’ll join me there! The bottom line is this: strong client relationships matter, and keeping your customers around longer will lead to more and faster sales, lower costs, and greater growth for your company. 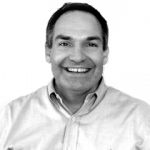 Hear Tom Cates speak live during the upcoming Sales 2.0 Conference in Boston on July 14, 2014. As president of The Brookeside group, Tom Cates has established a research-based approach to uncovering the true value of a client relationship. As counsel to a wide array of industries and organizations, he helps companies tackle issues such as market research, customer satisfaction, retention and loyalty, process improvement, and change management. Cates is the author of three books and a recognized speaker at many events each year, known for his natural storytelling that also inspires audiences to achieve better client relationships. This entry was posted in Conference Sessions, Conference Speakers, Sales 2.0 Conference, Sales Management and tagged B2B sales, Brookeside Group, customer relationships, Sales 2.0, Sales 2.0 Conference, Tom Cates. Bookmark the permalink.